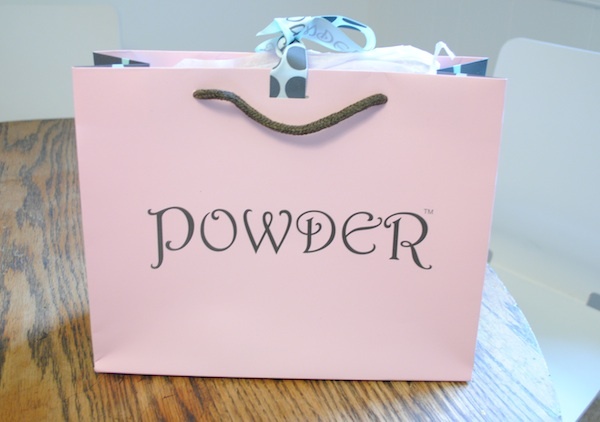 Recently I participated in a Secret Blogger Swap hosted by Danielle at Framed Frosting. What a sweet idea right? I was so excited when I received a package from the lovely Devon at The Jack Chronicles. I loved checking her blog out - it's so sweet and she has the cutest little boy! So I opened my package and pulled out this beautiful bag - don't you just want to know what was inside? 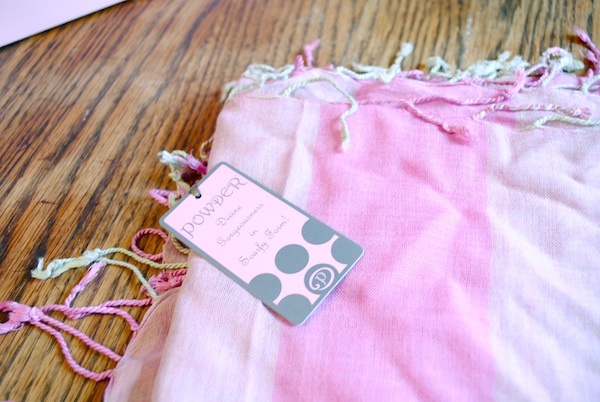 I love this beautiful scarf from powder! I'm a huge scarf fan, this was such a thoughtful gift. 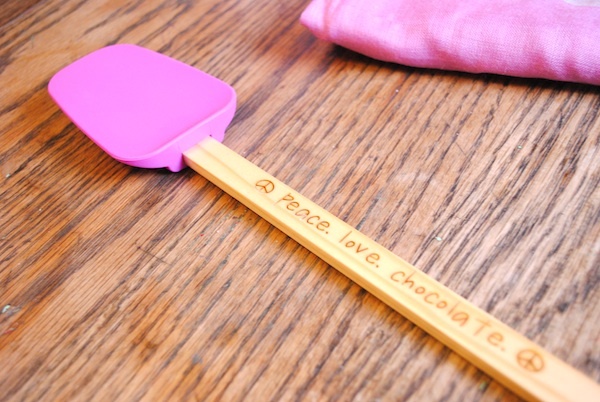 I think this is the cutest spatula I have ever seen. I can't wait to make lots of chocolate treats with this. Thanks so much Devon for such a beautiful gift! You are too sweet. Make sure you guys check out her wonderful blog The Jack Chronicles! Also, everyone who participated in the secret blogger swap is linking up today with our host Framed Frosting, so go take a peek and find some new great blogs!! That little spatula is so adorable! Hey Megan. Pretty colors. Glad you got a great gift. I loved mine. Thanks, it was awesome. Looks like Devon did a fabulous job. I too love that spatula -- now you've just gotta find a recipe to start baking :) Thanks again for linking up & participating in the swap! Love that scarf!! And the spatula!! How sweet?? 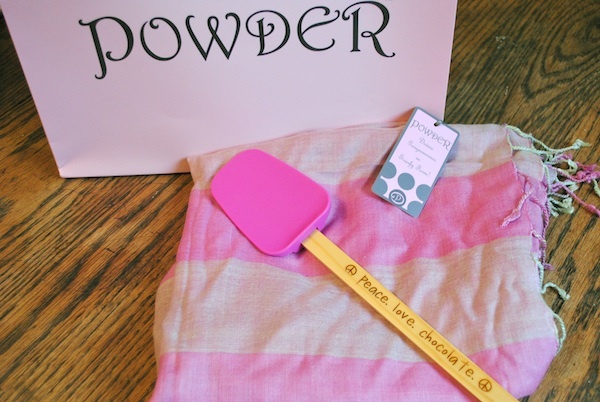 We had so much fun with Danielle's Secret Swap and couldn't wait to see everyone's posts. We'd love for you to stop by and see our swap post. Following you via GFC! Oh!! Love the scarf and spatula!! Devon, how cute is that!!?! I love that scarf...so pretty! What a fun swap! I love that scarf, so cute!! I loved taking part in the swap!